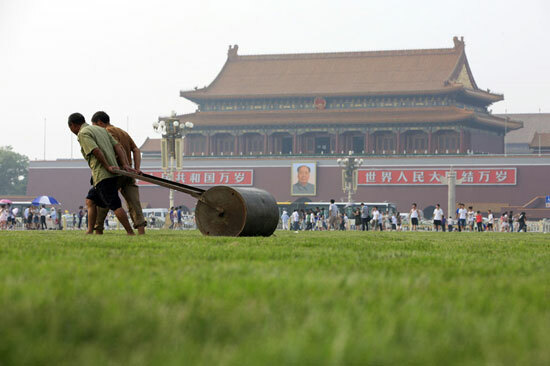 2 Green Tiananmen – During these hot summer days, Tiananmen became a golf putting green. 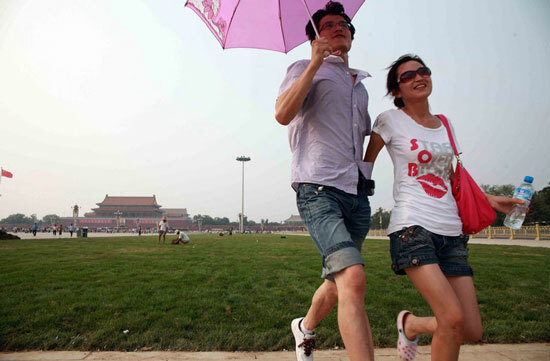 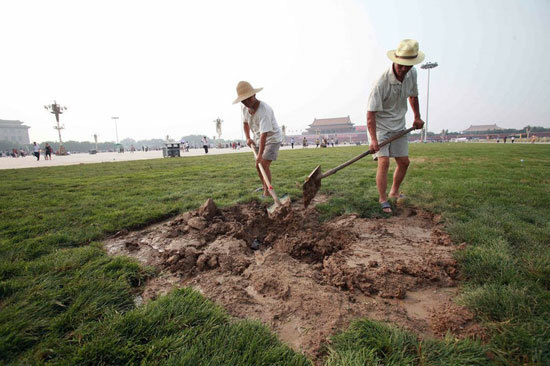 Green Tiananmen – During these hot summer days, Tiananmen became a golf putting green. 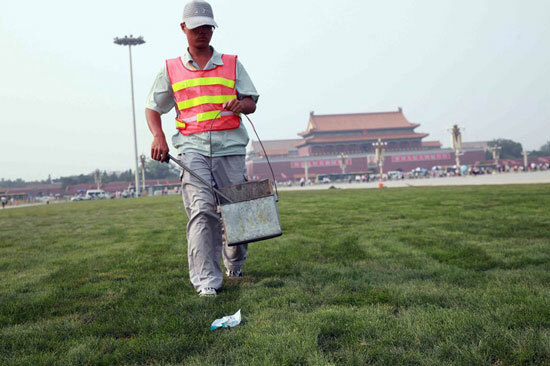 Works ended on the 23rd of July. 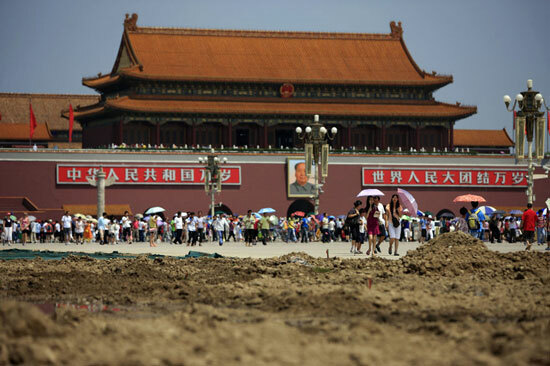 Tiananmen is one of the symbols of China and one of the biggest square in the world as well. 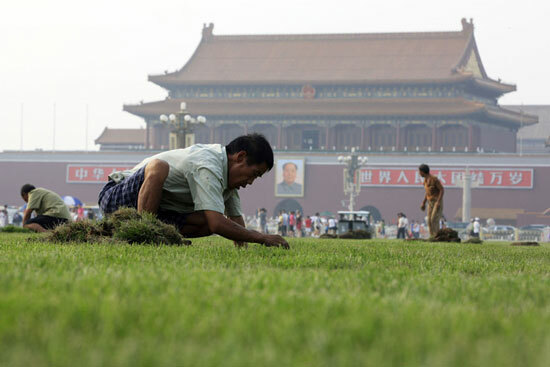 Authorities decided to lay 9600 mq of lawn area to symbolize 9600000 mq of China territory.